So many parents dream of breaking into the modeling and acting industry with their little ones and teenagers, believing that their kid is the cutest, funniest, hammiest, most talented child around. Being informed about the business and understanding the various markets for child acting and modeling is vital. You have to know what your goals are and be ready to deal with the realities of the business. Aligning yourself with good representation and industry experts can make all the difference. Taylor Made Talent headed by Meredith Blackwell, sat down with us to share her expertise of the business, particularly the South Florida market, for child models and actors. How did Taylor Made Talent come about? Taylor Made Talent came to be after managing my own children in the modeling/tv/film biz for more than a decade. My daughter, Taylor, who is now 15 and who the company was named for, started modeling as a baby and over the years, I learned the business from the ground up, making lots of silly mistakes along the way but always learning and evolving. I decided to start my own management company because I wanted to help others get into the biz and teach them what I learned from my years of experience with my four children doing it. I also think it’s important to have someone on your side who truly believes in you and will fight for you and help you get your foot in the door. Looking back, I wish I had someone like me to help me navigate and figure things out because you WILL make mistakes and you WILL go through dry spells and it’s nice to have someone to encourage you and tell you to stick with it! The South Florida modeling industry uses kids from infancy to teens. What age range do you represent? I represent babies (typically 6 months and sitting on their own) all the way to teens. Sometimes I will need a newborn but usually it’s better if the baby can sit independently. Of course there are certain ages and sizes that work more than others so there will always be periods where you are super busy and then others where there’s not much work for you. I always tell parents to enjoy and take advantage of the busy times because it could all come to a crashing halt tomorrow. When it’s slow, that’s the time to update your photos, or take some acting workshops and classes. This business is always about growing as a model and an actor. Whatever parents can do to help their kids is invaluable! There are so many model and actor kids in this market. What type of kids do you look for to represent, who you think will stand out and find work? I look for something special or unique, whether it be big blue eyes, or red hair and freckles, or a bi-racial child with light eyes and an amazing fro. Just something special that stands out to me! Sometimes it’s their personality, sometimes it’s their look and often they have both!! I think it’s important that the child has something that speaks to me, whether it is emotional or physical! I usually know right away if I am interested in representing someone. Obviously they have to have a nice smile and like taking pictures and have the personality for it. You can have the cutest kid in the world but if they hate taking pictures or cry and get clingy every time they go to a casting, it’s not going to work and they probably aren’t suited for this business. I also look at the parents because if they are not professional or don’t treat this like a business, I don’t want to work with them. I will not work with stage parents, no matter how adorable the kid is!! Can you provide prospective models and actors a breakdown the South Florida modeling and acting industry? The Miami market is very diverse. We have clients coming from all over the world to shoot here. Everything from European and American catalogs to editorial shoots for magazines and internet. Because of our close proximity to the Orlando area, there are also jobs for theme parks, resorts and hotel chains, and even some tourism jobs that require travel to Bahamas, Cayman Islands, Mexico, etc. What kinds of bookings and castings can parents expect here? I have been told by several photographers over the years that Miami has the most professional kids in the country and I think that’s because they work year round. We have such beautiful beaches and parks and scenery that clients come from all over the world to shoot here. 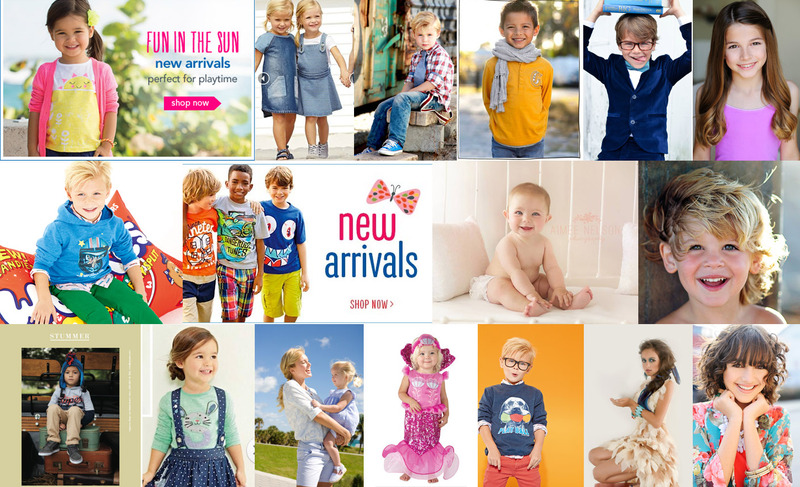 Kids in the Miami market do a lot of print work for catalogs, web, in store posters, and also editorial work for magazines such as Vogue Bambini, Parenting, etc. There are many European clients who come here to shoot their catalogs so it’s very common for kids to work for Italian clients, German clients, English, French, and others. There are also a number of US companies like Walmart, Toys R Us, Carters, Target, etc., that repeatedly shoot here so it’s a nice balance. There is also a lot of commercial work in Miami. My models and actors have worked on SAG national commercials such as Royal Caribbean, Nintendo, Volkswagon, etc., and have also worked on smaller non-union projects. There are also TV and film jobs. Until recently, we had several television shows filming right here in Miami such as Burn Notice, The Glades, Charlie’s Angels and Magic City. We are lucky that we still have Graceland and a new Netflix series shooting here, so hopefully those will bring more opportunities for my child actors. In the fall, we had several local kids work for the feature film Dolphin Tale 2 which comes out in Sept. That was a lot of fun! Hopefully the state of Florida will give more film incentives that will draw more big feature films like that to our area. Typically, how long does it take for a “new face” to get going as a model or actor? That depends: some kids are lucky and book the very first casting they go on, but for others it takes time. It is not unusual for a child to go on ten auditions before they book something. I always tell people to be patient and just enjoy the ride, and it will happen for them if they are determined, dedicated and devoted to their craft. You really get what you put into it. If you don’t get professional pictures done, and you don’t go to any castings and you just sit around and wait for the jobs to come to you, you won’t be successful in this business. You need to take the initiative and make things happen. The “new faces” that understand that and realize that investing in nice photos or spending that gas money to audition will only benefit you in the long run, are the ones who are successful. What advice can you give to parents in pursuing both print, and tv/film work? Again, that depends on the kid. I have some kids who are strictly print and others who are strictly TV, and some are lucky that they can do both. It really depends on their personality and their goals. Some kids are shy but take beautiful photos so they might not have that larger than life personality to be able to book TV commercials and film. And some of my TV kids are character actors who love to act and have no interest in modeling. Each kid is different so I try to cater to their needs and wants and see where they might fit into the biz. 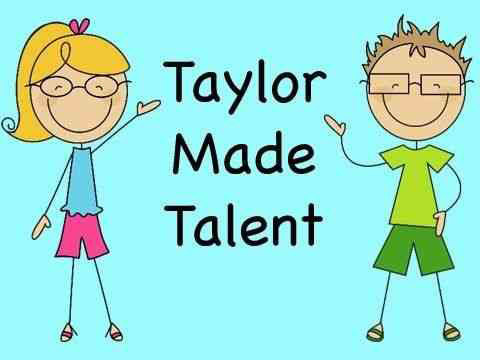 Where can we see Taylor Made Talent kids appearing? Everywhere from the movie Dolphin Tale 2 which will be in theaters in September, to all sorts of national commercials for companies like Royal Caribbean, Nike, EpiPen, Volkswagon, catalogs such as Chasing Fireflies, Carters, Next Directory, Walmart, Toys R Us, and JCPenney newspaper inserts and mailers. Also magazines like Vogue Bambini and Grazia, to several web series that will be debuting on you tube this summer, to student and independent films. As you can see, there are so many opportunities in South Florida and really something for everyone! For all the Taylor Made Talent booking news, please follow my Facebook page called Taylor Made Talent. I am so proud of all my kids and am always posting their exciting bookings for everyone to see! Regardless of whether or not they book, I am super proud of each kid that I manage for their professionalism and dedication to this very competitive business. The most important thing to me is that the kids have fun and put away a little money for college, and if I can make that happen, then I feel I have done a good job!! 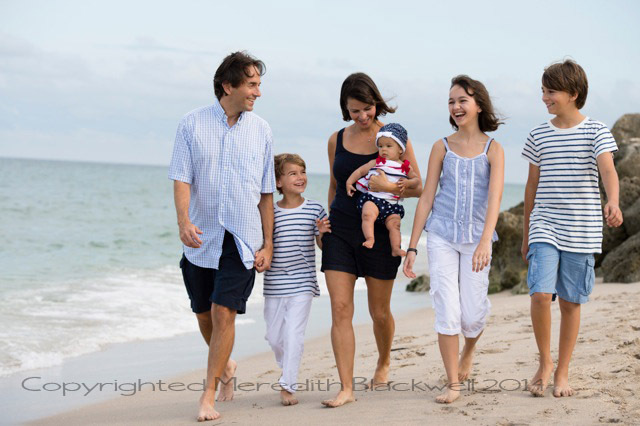 Meredith Blackwell and her family, living the South Florida lifestyle. Follow Taylor Made Talent on Facebook to see recent campaigns and work from their models and actors. This entry was posted in Experts, Kids and Teens Models and Actors, Model Agents and tagged Breaking into the modeling industry, child actors, child model managers, child models, getting kids into commercials, kids catalogues, kids in tv commercials, kids magazines, kids modeling, kids modeling agencies, kids modeling industry, Meredith Taylor Blackwell, Miami Child Models, Miami modeling agencies, South Florida Child Models, Taylor Made Talent on May 8, 2014 by allanawesleywhite.